Johnson County Transit provides public transportation services to much of Johnson County, downtown Kansas City, Mo., Kansas City, Kan., and other outlying areas. JCT’s The JO operates weekday commuter services with most routes running during peak morning and afternoon times. Special Edition provides para-transit services to Johnson County seniors and disabled residents. Find Route Schedules on left hand side of the home page. Kansas City’s Downtown Streetcar is a two-mile line will run largely on Main Street from the River Market to Union Station. The streetcar runs in existing street lanes, just like other vehicles. The streetcar route will include 16 stops, spaced roughly two blocks apart. The Streetcar is free to ride. Monday – Thursday: 6:00 a.m. – 12:00 a.m.
Friday: 6:00 a.m. – 2:00 a.m.
Saturday: 7:00 a.m. – 2:00 a.m.
Sunday – 7:00 a.m. – 10:00 p.m.
Find other ways to get around KC at the VisitKC website. 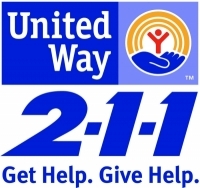 Dial 2-1-1 or call 816-474-5112, or toll free 866-320-5764. Transportation for those with disabilities – Go online or dial 2-1-1 to find transportation if you are disabled.